In 2013 while on a cycling trip in Adelaide, Kerryn was knocked from her bike. After initially receiving treatment for cuts and bruises, she found herself in Royal Adelaide Hospital with a rare and aggressive bacteria called Necrotizing Fasciitis (more commonly known as flesh eating disease) that she had most likely picked up from the road at the site of the accident. The only option was radical surgery to remove infected parts and attempt to stay ahead of the bacteria, which was a forequarter arm amputation, which involved the removal of her arm and entire shoulder. The medical staff told her it was a miracle she had survived. They also told her one very important piece of information – she survived because she was very fit. 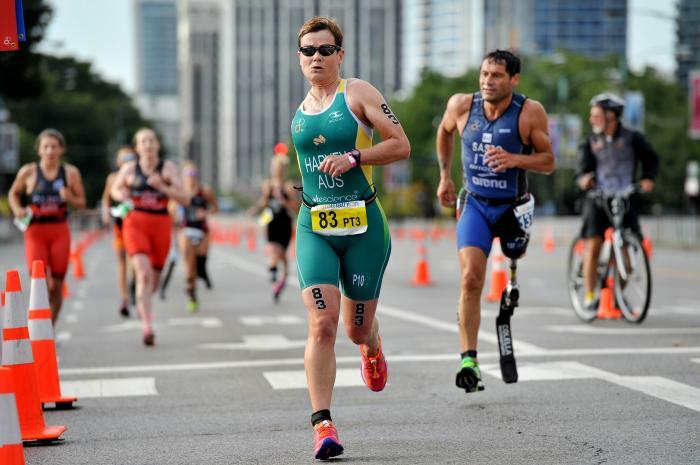 As a passionate sportsperson, this did not stop Kerryn’s sporting career, since then she has competed in ITU para-triathlon events since 2015 with huge success and determination. Most recently, she won gold in her home country of Australia at the 2017 Devonport OTU Triathlon Oceania Championships. Kerryn is the founder of the START Foundation, where she aims to empower amputees in life through sport. - 2nd place at the 2016 Devonport OTU Paratriathlon Oceania Championships.